Years before the X-Men film franchise kicked off, the X-Men were achieving popularity outside of the comic books with X-Men: The Animated Series on Fox. It’s been nearly twenty years since that cartoon went off the air, but it hasn’t been forgotten. Marvel has been revisiting this world recently with the X-Men ’92 miniseries, one of the many books that are part of the Secret Wars event, and now we’ve learned that this iteration of the X-Men will continue their adventures in a new series next year. The House of Ideas announced on Thursday that an X-Men ’92 ongoing series will hit the stands in spring 2016. The book will be co-writen by Chris Sims and Chad Bowers and illustrated by Alti Firmansyah, with cover artwork done by David Nakayama. While many of the books in Marvel’s “All-New, All-Different” relaunch will take place in the newly formed main Marvel universe that emerges from the fallout of Secret Wars, the characters in X-Men ’92 will be returning to their own universe, where, according to Newsarama, Professor Xavier’s School for Gifted Youngsters will be reopened. However, the students will soon be joined by pupils of the super villain scientist Cassandra Nova, who is currently the main antagonist in the X-Men ’92 Secret Wars series. The original X-Men TV series originally ran from 1992 to 1997 on the Fox Kids Saturday morning block. 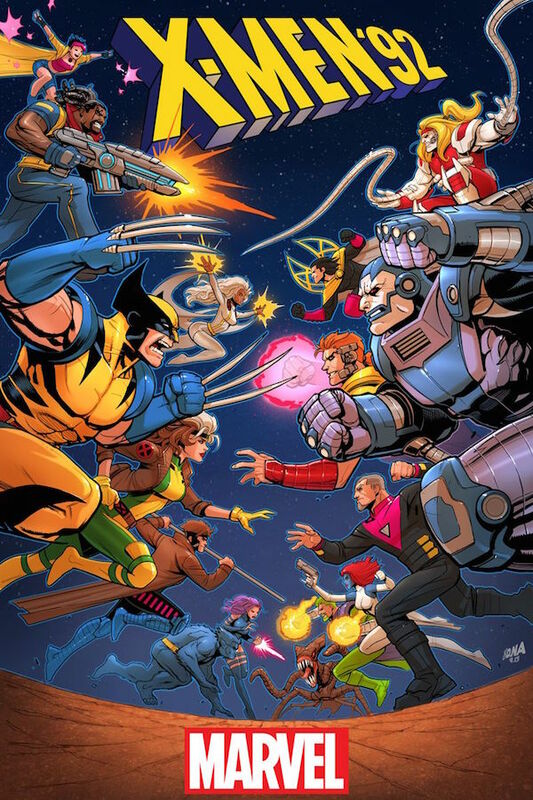 The team’s main heroes were Professor X, Cyclops, Jean Grey, Storm, Wolverine, Rogue, Beast, Jubilee and Gambit, which was a close match to what the lineup was in the comics at the time. Judging by the cover above, most of those characters will be headlining the book as well, along with recurring players Bishop and Psylocke. The villains they’re facing include Apocalypse, Mystique, Omega Red, The Brood and more though I doubt all of them are showing up in the introductory issue. While it was airing, X-Men: The Animated Series earned many positive reviews. It, along with DC competitor Batman: The Animated Series, helped pave the way for more animated superhero shows to be made. Subsequent X-Men animated shows included X-Men: Evolution and Wolverine and the X-Men. Perhaps if X-Men ’92 sells well, it could pave the way for more of Marvel’s animated shows to be revisited in comic book form. I know I’d like to see more adventures set in the ‘90s Spider-Man animated series, which ended on a cliffhanger. You’ll be able to find X-Men ’92 next year online or at your local comic book store.